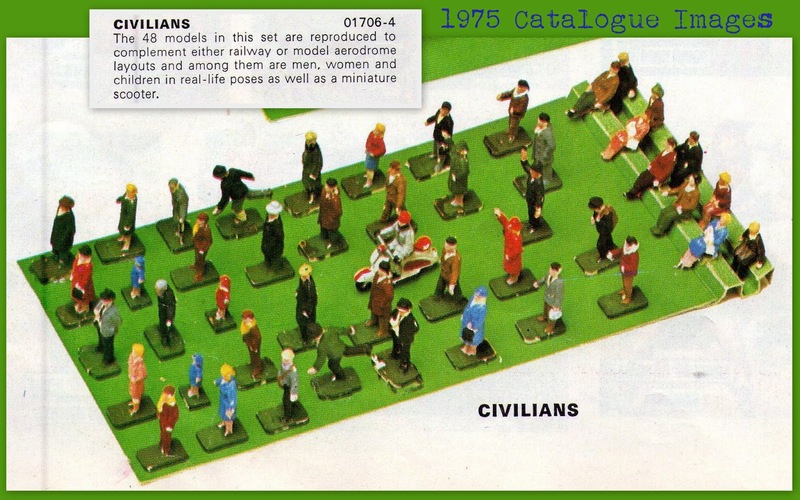 The Civilians were - obviously - a separate set from the old Station Accessories, who would not join the 'boxed sets' range until 17 or so years after the introduction of this set. 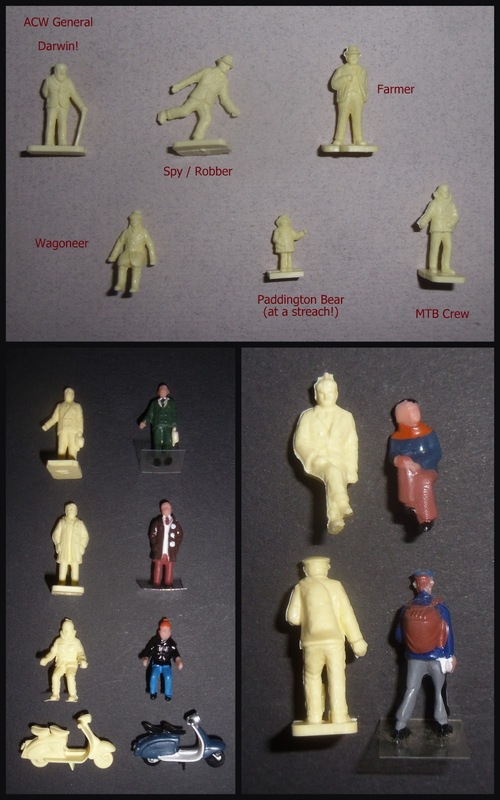 Why Airfix felt the need for two sets, why they kept one out in the cold for so long and why they didn't just drop the stick-thin set when these figures came out are all questions that remain to be answered. With 25 poses/items, mostly paired, this set was as varied as it's predecessor with a similar make-up, excepting the number of non-human items in the other set, and like the other set; the figures were mostly doing not a lot! A complete set laid-out in no particular order, these are a great improvement on the earlier set, and contain a few useful figures for military conversions, while they all look suitably sullen (apart from one or two wavers!) to be lining the street as an invading army drives past - grey Panzers chokeing them with French dust perhaps? The upper shot here shows a few of my suggestions for straight paint-convertions, I've used the seated guy and the old man with a stick to fill out my old ACW armies. The little girl would make a reasonable Paddington Bear...its the hat you know! 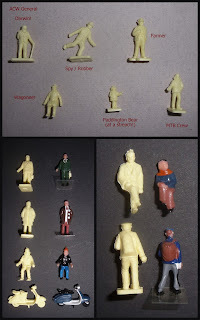 The lower shots are comparisons with the soft vinyl figures used by Hornby for several decades now, and also carried by Life-Like and Model Power at one time or another. Made it Hong Kong, they are clearly lifted from the Airfix set (two figures to the left), or using the Airfix figures for inspiration (two figures on the right), other figures in the Hornby sets are/seem to be based on both Preiser and Merten prototypes. The irony is that Hornby now owning Airfix they can retro-allow themselves to copy something they could have been sued for carrying years ago! It's not just faceless companies in HK that like a bit of piracy...all but the child (and she may have been mislaid before they came into my possession) are copied here in a white-metal, by a probably local firm here in the UK, advertising as one of the hundreds who come and go in the backs of the main model railway magazines...can anybody put a name to them? The usual photograph of other bugger's efforts (OBE's), it would seem that the average Railway modeller in the 1960/70's were less bothered with the figures than they were with the scenery! Also there seems to be an unwritten rule that the fat lady wears a red coat! When you compare the output of the modern companies making both figures and AFV kits, you realise that Airfix are less and less important in the great scheme of things and it's a bit of a miracle that they managed two motorcycles at all...they managed four bicycles though! Kostas from Greece answered the call for contributions with scans of a 1975 catalogue (mine are in storage) and here we see one of my favourites, the painted line-up. 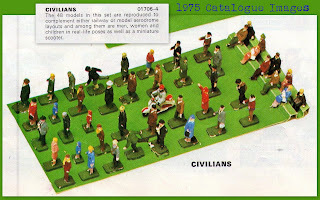 Interesting to note that Airfix themselves follow the 'Fat Lady' rule...red coat! Montaplex decided to bomb the Airfix figures with a mixture of post-war fast-jets and airliners, along with a carrier-borne British looking thing and a Sea Vixen! They also included a half-sprue (frame/runner) in each 'Public Works - Roadworks' set..and you get a tractor, with driver, bargain! In point of fact, that 'Old Fashioned Car' would make an excellent Staff car for Airfix's own WWI French Infantry. Side-by-side comparison, a part set still on the runner, and a whole set laid-out the right way up! 14 poses and the scooter appear on a whole runner, the part-runners gave you either the scooter or the driver! The fat lady (sans read coat!) 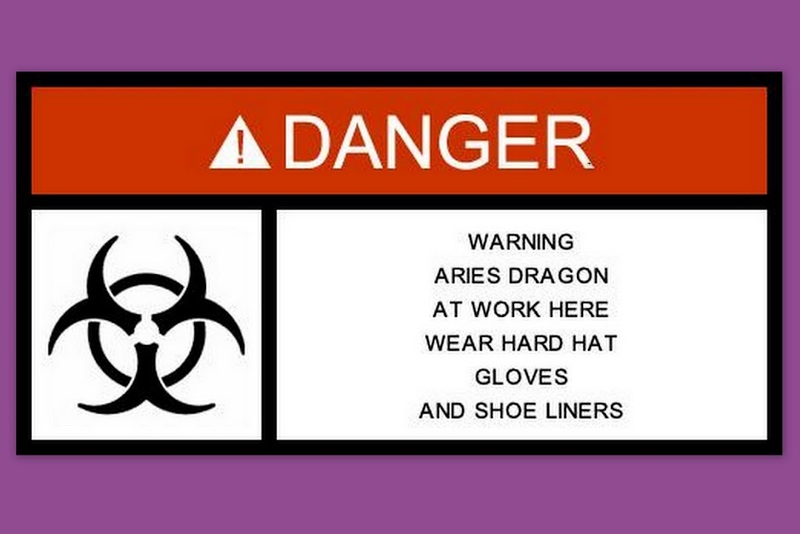 hangs around hoping to attract a husband from Mertens country folk! Being closer to OO-gauge she is actually a bit bigger than the HO gentlemen though! Fat lady in a coat (not in red, so I fixed the boarder!) orders a stein of beer from a German lady (Noch HO) and takes direction from a Military Policeman (Merit OO), she sits nicely between them, but as we saw above she is smaller then the policeman in this set, so makes a reasonable OO figure, but dwarfs the Noch lady. One of the truths behind the HO/OO thing Airfix adopted was that it gave them freedom to make their figures pretty-much any old size and claim it was whichever one was not the one a complainant was bemoaning that it wasn't! Compared to the older set; This sets figures are fuller and more realistic, and a little taller, very 'OO' to their ancestors 'HO' gauge. Still very wooden posing though, compared to most of Preiser or Merten's output...it's the stoicism of the Brits knowing the trains late before anyone tells them! A glossy set that came-in in a mixed junk-lot the other day. Well meaning parents or grandparents would buy you gloss paints thinking they were the right things, and the commonest sight in toy drawers when I was young was the broken spitfire with gloss green and brown wings!